is thrilled to be making his Kokandy debut. Credits include: Three Sisters, House on Mango Street, and The Last of the Boys (Steppenwolf Theatre); Balm in Gilead (Griffin Theatre), and the Under Covers Web Series. Most recently, Diego was the ambassador for the CITGO Fueling Good Road trip. 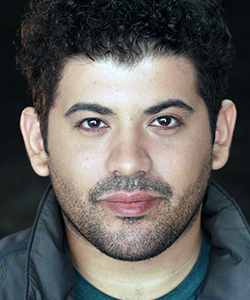 Diego Received a BFA from The Chicago College of Performing Arts. He would like to thank the cast and crew for all their hard work, his family for being his biggest fans, and Christina for her unending love and support.